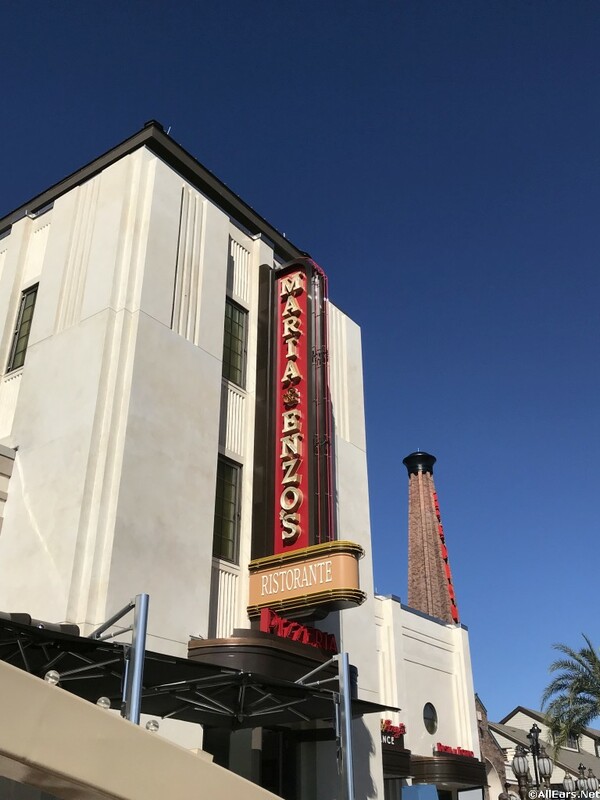 APRIL 2018: Maria and Enzo's is now serving Sunday Brunch, which includes: Salumi and Cheese Station, Antipasti Station, Pizza Station, Yogurt (panna cotta) and assorted pastries. You may also select one entree: French Toast, NY Strip Steak and Eggs, Farmstead Vegetable Frittata, Poached Hen Egg and Quinoa Kale Salad or Spaghetti alla Carbonara. There is a chocolate fountain for dessert. Cost is $35 per adult and $15 per child (3-9). You can also add bottomless mimosas and Bellini cocktails during your brunch for just $15. Make reservations via MyDisneyExperience account or OpenTable.com, or by calling 407-560-8466.